It is the height of summer, early August,1987. No fanfare sees me off to start my new life south of the Canadian border. The morning of my scheduled flight to Los Angeles, a massage therapist friend comes over at dawn and gives me a foot massage. This small ritual marks what, for me, is a momentous migration. A return to the USA, after twelve years in Canada, to a strange city where I knew no one in any real way. I had the names and numbers of three people, mere acquaintances . “That’s where they have drive -by shootings on the freeways, right?”. Now at the airport, my two suitcases of clothes and eighteen boxes of books all loaded on a large cart, I wait my turn in the customs clearing line. My energy is light-hearted, peaceful. I feel in the flow of my life. A a colleague had lobbied for me to come to LA. We’d flirted with the possibility of becoming lovers and he’d arranged a post-doc internship for me. Maybe he was to be “the one”. It all felt right and I was happily off on an adventure. When the line moves along, I stand opposite the customs official, an ordinary looking pasty pale white middle aged man . The conveyor belt is full of my suitcases and boxes piled high before us. He studied my passport. He took his time. Tension mounted. He questioned me about the contents of all these boxes. Stomach grips. I realize, he could stall or block my immigration entirely. After what feels like a long delay he asks -what is my profession? “Psychologist” I answer , by now in actual anxiety. “Yes” I say ,worrying if perhaps there is some quota on the emigration of psychologists that is already filled and my great exodus will be stymied. “Yes” I answered , concerned if somehow I am digging myself in a deeper hole in the opaque customs and immigration world — a world which often acts outside or above the law. For a moment I enter into the place outside of time. The background noises of the airport disappear. I had just abruptly broken off an engagement, and was a single women, seeking a love adventure — and this is the question posed at The Gate! Whatever answer I give will matter. “Respect. To respect means to look again and again at each other with fresh eyes. Respect one another”. 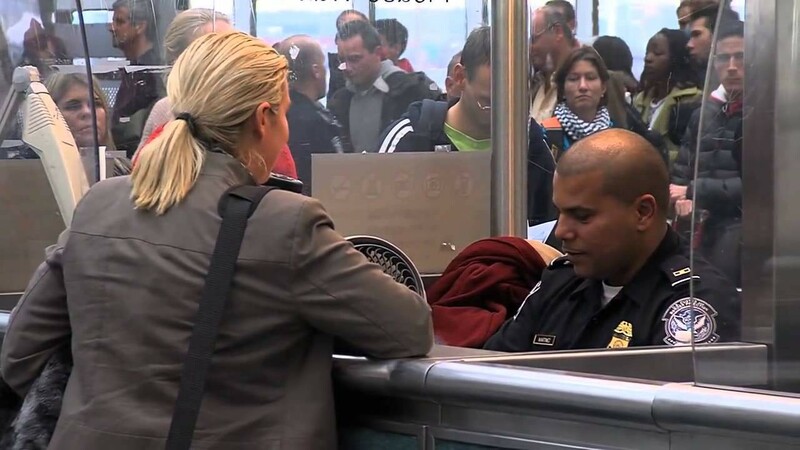 The customs man visibly softens, melts even, and comes alive, color flowing into his cheeks. I feel his relief, as if he’d been fearing an impossible answer, something he could never manage and instead is gifted with this simple wisdom and hope. “That’s it? !” he says with amazement, wonder and relief. With that he waves me into the inner sanctum of the airport and my new life is launched.